The banking system is expected to further develop this year, as 16 banks have announced plans to increase capital by a total of nearly 37 trillion VND (1.62 billion USD). 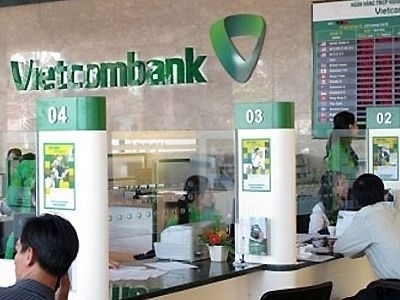 Vietcombank plans to increase charter capital from 35.977 trillion VND to nearly 39.6 trillion VND this year through the issue of an additional 360 million shares, equivalent to 10 percent of its capital. The shares will be sold either to the public or offered to no more than 10 investors (including existing shareholders) in a private placement due late this year. BIDV also approved a plan to increase charter capital by 4.445 trillion VND to 38.63 trillion VND. The plan will be conducted via the issuance of 2016 dividend-paying stocks worth nearly 2.39 trillion VND, shares for investors worth over 1 trillion VND and others for employees, known as Employee Stock Ownership Plan (ESOP) valued at over 1 trillion VND. The same trend was also seen at Military Bank, VP Bank, Techcombank and Nam A Bank with capital hike plans ranged between 1 trillion VND and 5 trillion VND. According to the banks, the capital hike is aimed to enhance their competitive edge and meet requirements of Basel II, which is due to take effect in Vietnam in September 2017 in a pilot programme for ten banks. With the capital hike plans, some are concerned about a wave of increasing illegal bank capital as in the 2008-10 period. In 2006, in order to improve bank financial status and stability, the Government issued Decree No. 141/2006/NĐ-CP issuing the list of legal capital levels of credit institutions. Under the decree, minimum legal capital for commercial banks must be 1 trillion VND in 2008 and 3 trillion VND by December 31, 2010. However, the capital increase caused difficulties, due to the stagnant stock market and some banks failure to follow through. Therefore, to meet the regulations, they increased financial capital illegally through cross-ownership to avoid being acquired or merged. However, experts said that such an increase of financial capital at this time is unfeasible. Banking expert Can Van Luc told online newspaper bizlive.vn that the increase of illegal capital is now almost impossible as the State Bank of Vietnam (SBV) monitors and controls the issue very strictly. In particular, the SBV is also very active in introducing measures to combat the increase of financial capital, helping transparency of information and prevent cross-ownership in the banking system. In addition, Luc said, through the occurrences in the 2008-10 period, banks themselves recognise the risk of raising financial capital illegally and do not dare to do so. However, he recommended the Government and the central bank to help commercial banks increase capital to meet the Basel II requirements. The Government can allow banks to keep roughly 50-60 percent of dividends for capital increase as some other countries do, Luc suggested. Besides, he said, it is also necessary to speed up the restructuring of ailing banks and recover bad debts to remove the bottleneck in the lending capital flow. If the recovery of bad debts is sped up, banks can reduce their provision for risky loans and have more funds to add to their charter capital, Luc said.